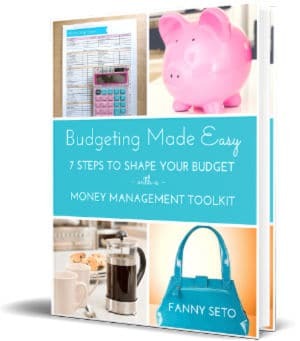 Home » Budgeting » Does Your Budget Spark Joy? 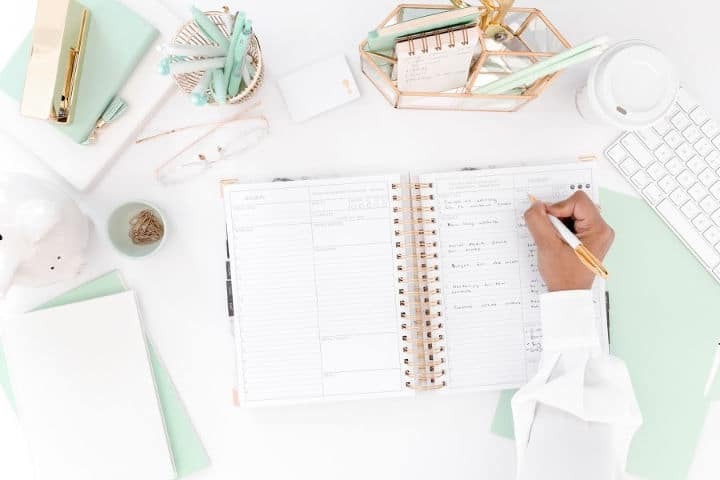 Before we all heard about Marie Kondo and her method of asking ourselves whether something sparks joy, I was figuring out how to stick to a budget. The thing about budgets is that it gets a bad rap. You hear about budgets being so restrictive that you can’t buy new clothes or eat out or live your life! People on the Dave Ramsey plan even complain about how hard it was to live on rice and beans and wear raggedly clothes, in order to pay off debt, even years after they have paid off their debt! 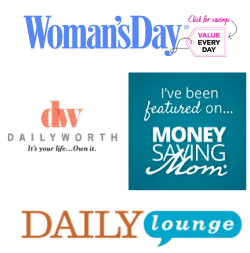 One mom blogger that I came across complained about how she *couldn’t* buy new underwear! Wait, what??? It’s more like she felt like it was not a necessity. How could you not let yourself buy new underwear? It’s only $5 at Target! Really, the question is how do you not allow yourself $5 to buy new underwear while somehow finding extra money to pay for your kids needs? What about your own needs? You matter too! 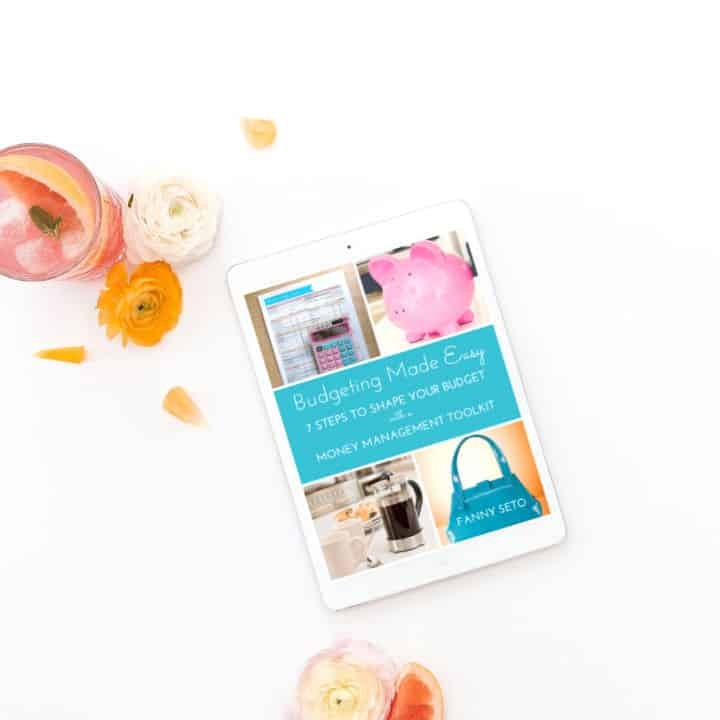 The whole misunderstanding about budgeting is it’s restrictive, it’s hard, and because it’s too hard and not fun, you don’t want to do it! But it’s only restrictive if you’re following someone else’s rules about budgeting. The thing about budgeting is you can do whatever the hell you want with your OWN money! 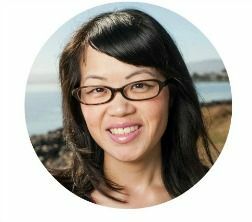 It’s not about cutting everything out that sparks joy. Yes, read that statement again! You can do whatever you want with your OWN money. Is that freeing or what? Let’s revisit the mind set of having a budget, shall we? 1. Set a goal for your budget. A budget without a goal isn’t going to last or be sustainable because you won’t know what your focus is. Once you set your goals, like to pay off debt, save up for a house, or set up college savings for the kids, then you’ll know your reason for sticking to your budget. And when it gets hard to stay within your spending plan, remind yourself of your goals. It will help you keep your eye on the prize. 2. Don’t copy someone else’s budget. 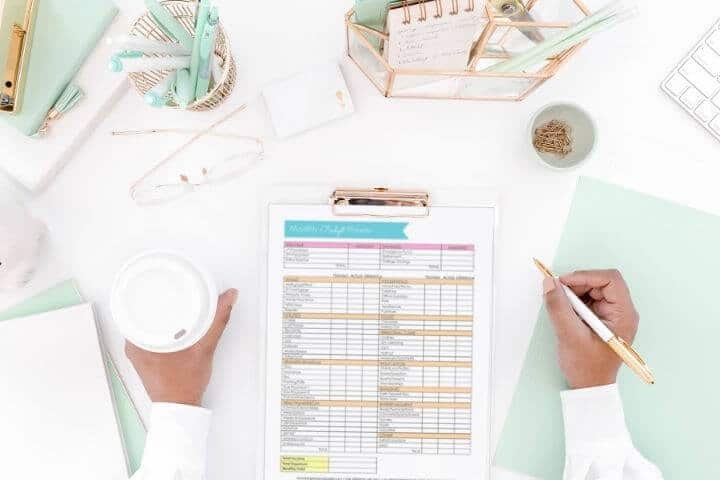 Have you come across those budget percentages like 50/30/20? 50% of your after tax paycheck is for needs, 30% for wants, and 20% for savings. I feel like it’s a one size fits all guideline that doesn’t work in real life. I mean do these people know what it’s like to live in the Bay Area??? Rent and housing costs are ridiculous, compared to other parts of the country! And it’s more like 50% of your paycheck goes towards housing here. And if you read frugal living blogs, like I do, a lot of them survive on like $200/mo. for groceries for a family of 4. Um, that’s $1.78 per person a day??? I’m sorry but I can’t survive on that. Can you? I’m just being real here. What if you have teenage boys? Can you feed a teenage boy on $1.78 a day? Maybe you can and there’s nothing wrong with that. But don’t force yourself to fit someone else’s budget because you will be miserable. We are all different and have different needs and wants. What works for one person may not work for you! 3. Figure out what sparks joy for you. A lot of budgets are missing this, like what brings you joy doesn’t matter, like YOU don’t matter. You need to know yourself and what truly makes YOU happy. Your budget is about you and what’s going to keep you going. It’s not about what someone else says should or shouldn’t be in your budget. What sparks joy for me is new clothes. I realized why this is. It’s because when I was growing up, I always wore a uniform to school up to 8th grade. Then when I got to high school, I had no idea how to dress and felt guilty for buying clothes because of my upbringing. I ended up wearing some of my mom’s oversized clothes, which were ugly and unflattering. I didn’t feel good about my clothes or myself until now. And I’m in my 40s! I don’t really give a crap anymore what anyone else thinks. 4. Make a budget category for the things that spark joy. What are things that spark joy for you? 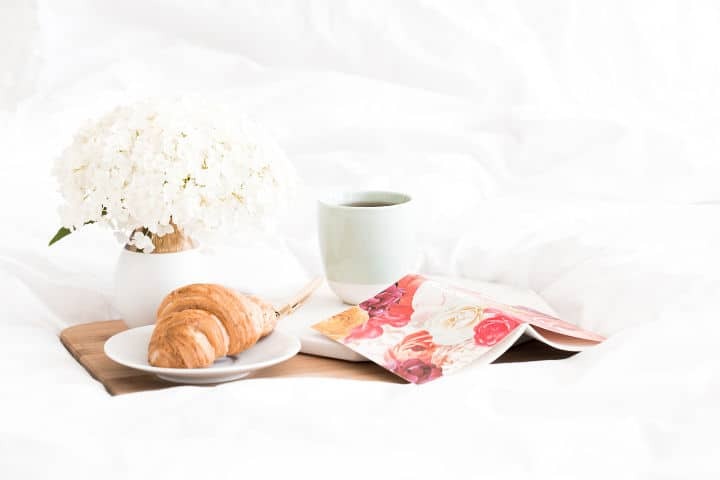 These a little luxuries and self-care things that make you feel like a million bucks. It could be a regular manicure, coloring your hair, a monthly massage, or that steaming cup of creamy mocha from your favorite coffee shop that you’re told you can’t have. Remember that it’s all about what makes YOU happy. It doesn’t matter if other people think what makes you happy is an unnecessary luxury. It’s about you, not them. Are you living your life for yourself or for someone else? Once you prioritize the things that spark joy, you’re allowing yourself to indulge a little. And when you get to indulge in something you enjoy, you’ll be much happier and it will help you stick to your budget. 5. If you have a small budget, find a way to fit in the things that spark joy. The way I save on clothes is that I buy new-to-me clothes, gently used from ThredUP. And when I get new clothes that flatter me and make me feel good, I feel unstoppable! And that’s everything to me! You may or may not be OK with used clothes. But the point is, if you’re finding it hard to fit in things that spark joy, what can you do to make it happen? Is there anything you can sell or what can you do to make more money? Is there a comparable alternative to what you like? If you allow yourself to dream and live, you’ll find a solution. 6. Cut out stuff that doesn’t matter. 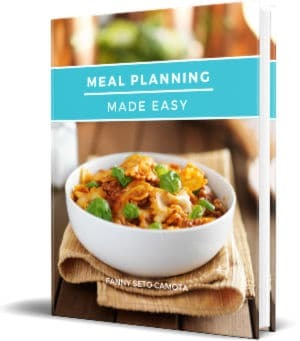 We all know about saving money and cutting expenses. But have you thought about the stuff that doesn’t matter to YOU, not someone else? For us, we cut out cable TV because with 2 kids, we don’t have a lot of time to watch TV. And we cook as much as we can at home and occasionally go out to eat. And we drive older cars that no one would look twice at. I’ve had my car for almost 20 years and I was the second owner! What can you cut out that you won’t miss? Think of recurring expenses for the biggest impact. 7. Stop the comparison game. With Facebook and Instagram, we scroll our feeds on a daily basis, and it gets harder to not compare yourself to your friends, family, and even celebrities! Can I let you in on a little secret? No one looks that perfect or is that happy every single day. Everyone has problems and is going through something. So if you’re scrolling through your feed and see something that sparks jealousy instead of joy or makes you upset, then unfriend or delete! It’s as simple as that. I’ve already unfollowed a lot of people and it has been freeing to not have to deal with negativity like that on a daily basis. Stick to things and people that uplift you. Hear me out – people who enjoy gossiping about others, do that so that they can feel better about themselves. Am I right? It’s more like a distraction. Focus on others so you don’t have to think about solving your own problems. Why focus on what someone else is doing wrong when you can focus all your energy and attention on making your life SO much better! You can’t change someone else and they might not even want your help with that. Mind your own damn business! Focus on changing yourself and you will live your best life because of it! 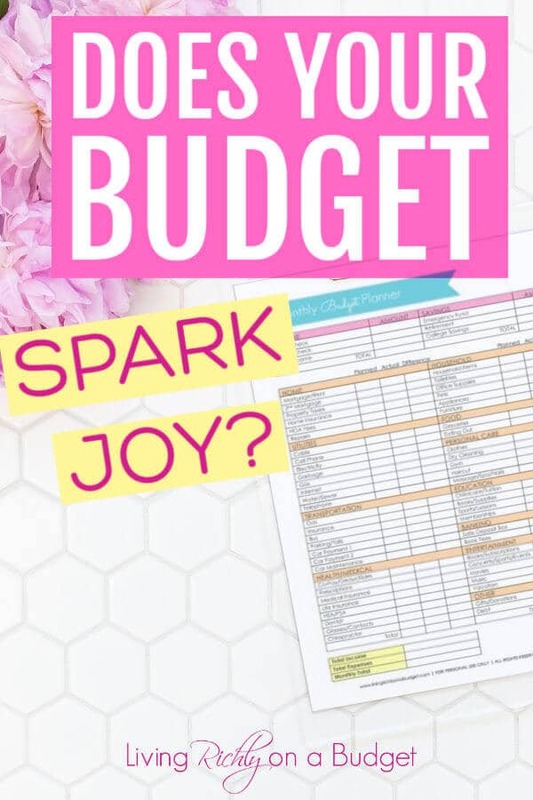 Get a budget that sparks joy! 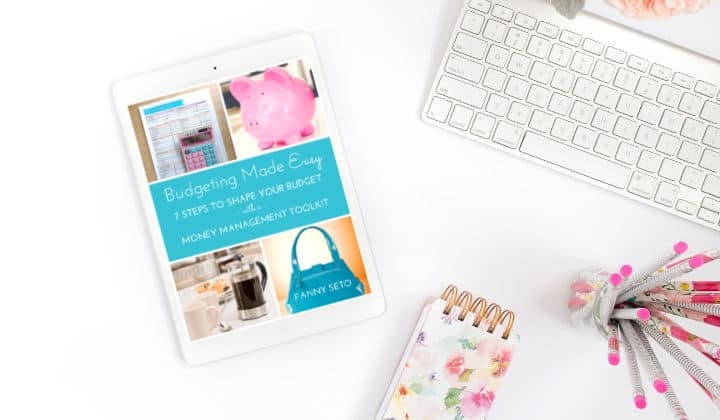 Grab your copy of Budgeting Made Easy (pictured below), my budgeting guide and budget worksheets!